Measurements 1.Dimensions: Size A: 20(Length) *11(Width) *26(Height) cm/7.87*4.33*10.24 inches,weight: 0.99 lb Size B: 22(Length) *12(Width) *29(Height) cm/8.66*4.72*11.42 inches,weight:1.21 lb 2.Waist Strap Drop (From waist to the strap): 33.1″-58.7″ Waist Strap Width: 1.6″ . 3.Shoulder Strap Drop: 15.9″-30.3″ Shoulder Strap Width: 2.6″ . Structure 1.Exterior: Two zipped front pockets,Back Snap Fastener Pocket . 2.Interior: One Magic pocket, Four open pockets . 3.Outer Material: High strength abrasion nylon Inner Material: Waterproof Silky Cotton . 4.Back: Thicken Breathablec Sponge . 5.Hardware: Metal+Lengthen the Rope Pull Head . 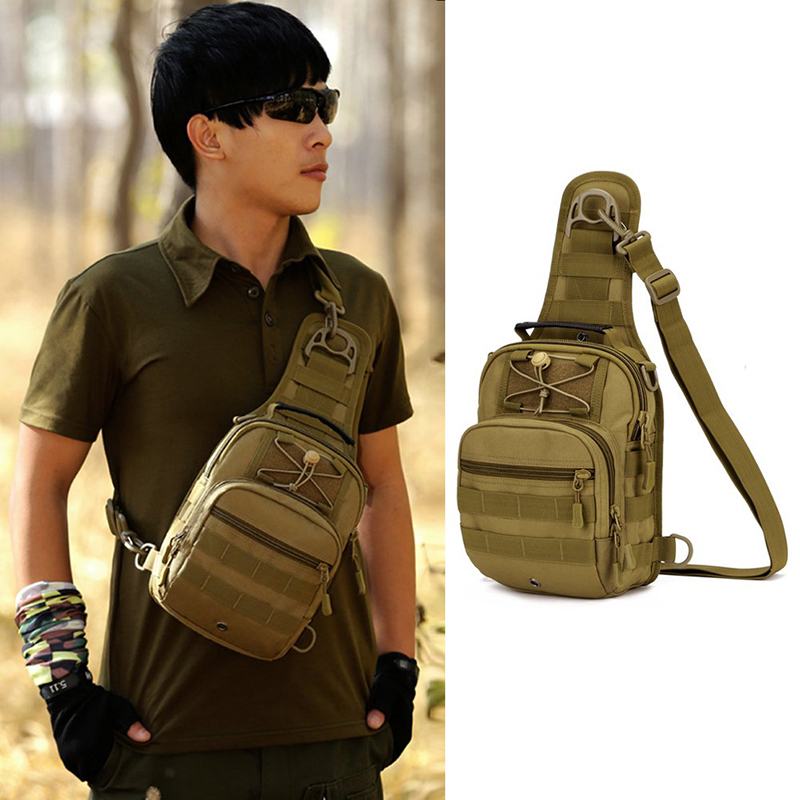 6.Adjustable Long Shoulder Strap: MIlitary Nylon Fabrics Removable Shoulder Strap . 7.Adjustable long Waist: Military Nylon Fabrics Removable Waist . Features 1.Suitable for fitness, outdoor travel, hiking and other outdoor activities. 2.MOLLE external expansion system designed to be used in combination with other equipment,you can load pockets,water bottle bag,accessory kits and other. 3.The bag works well with a variety of different outfits and casual styles. Dear Valued Customer, If you like our products ,please “Add to Wish List” or ” Add to My Favourate Stores” for a long term relations. We will dispatch your package during processting time! All the parcels will get vaild tracking information.If you still cannot track your parcels well,please contact with us directly,we will try our best to help you. Welcome to bulk purchasing,recently,we will give some discount off for you,if your orders are up to the related quantity. After your item has arrived, we appreciate it if you can take a moment to leave positive (5 stars) feedback about our products and service? It only takes a moment, and it’s a great way to help others make purchases like yours if you are unsatisfied with any aspect of our products or service, please contact us first before leave negative feedback or dispute ,so we can try to resolve your problem Yous Sincerely.